I'm a sucker for fringe and moto jackets -- when I spotted this amazing jacket, I couldn't resist! Once I saw this jacket, I fell in LOVE! I'm a sucker for fringe and moto cuts, so it was hard to resist this beauty. 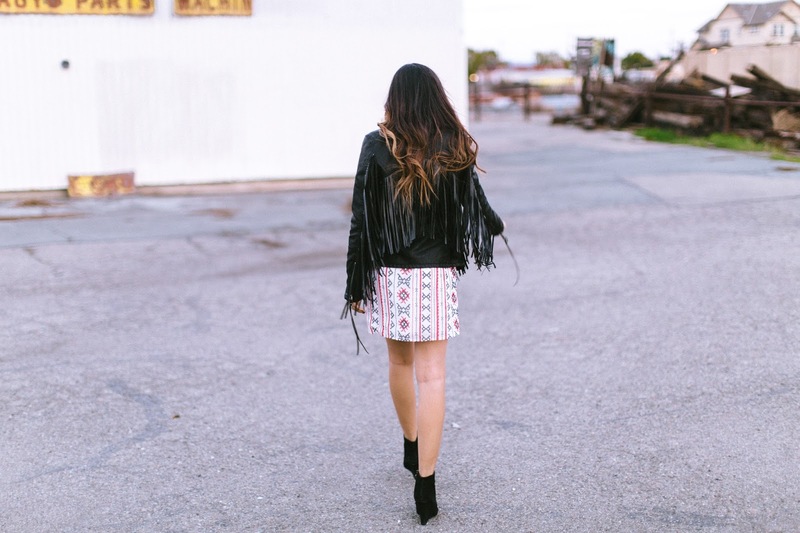 The fringe moves so much when you walk, making you feel unstoppable. 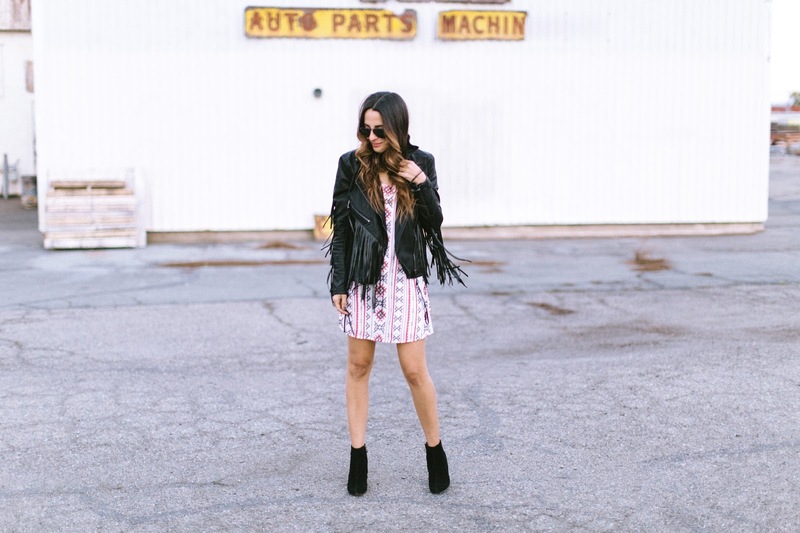 I added a embroidered slip dress by Sam Edelman (scored for only $12) and my trusty suede booties from Marshalls for an effortless, boho look. I can't wait to repeat this outfit again for girls' night, because it's way too cute to be only worn once! 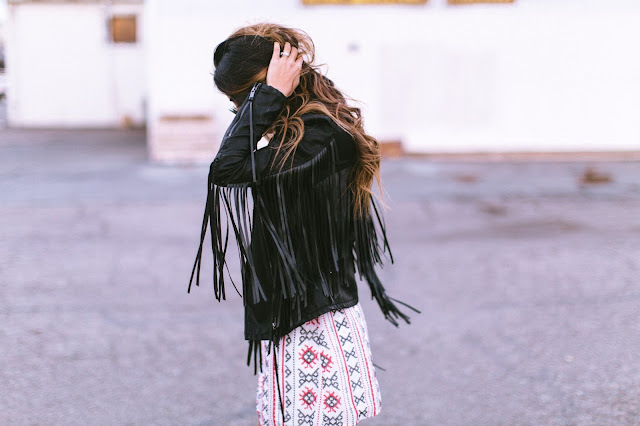 Nothing is better than a moto jacket with fringe. Great look!